Guests at our hotels and apartments can purchase custom packages to enjoy days out on the sea; the best way to fully enjoy Lampedusa. Fantastic boat trips around Lampedusa and the nearby islands of Linosa and Lampione, with first-class service; the best possible way to enjoy your holiday by the most beautiful sea in the Mediterranean. 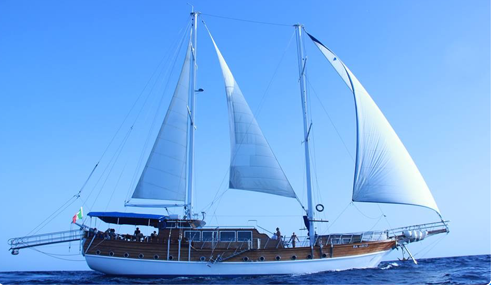 A great chef and Lampedusan cuisine also await you aboard the TurKuaz. 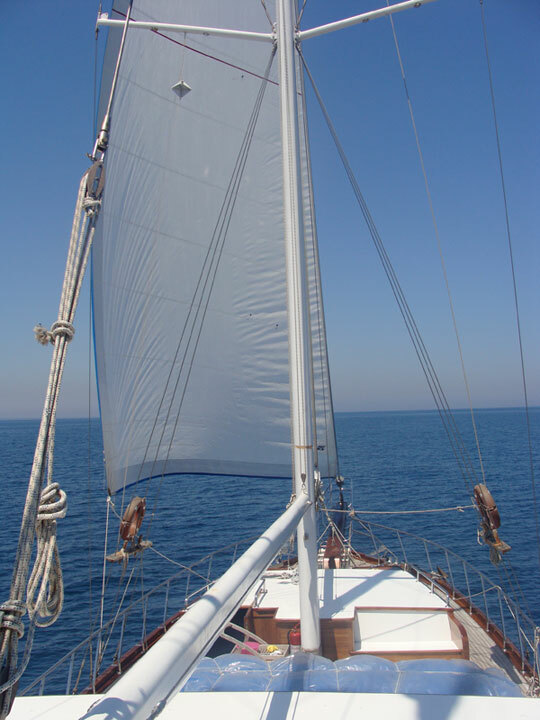 The sailboat, a Turkish wooden gulet built mainly with mahogany, also has an engine. The large covered area offers all that is necessary for complete comfort and relaxation to those seeking the pleasure of unforgettable trips around the island or nearby islands of Linosa and Lampione.